Anthony and Margaret Sowemimo are both ordained ministers of the gospel. They both attended the Apostolic School of Ministry in Atlanta to better equip them for ministry and have both had opportunities to serve in different areas of the ministry. In 1992 the Lord gave the vision of a ministry that will reach out to the Broken Hearted as well as those held captive by the enemy. In September of 1999, the Lord instructed them to start the ministry and by October 1, Chosen Remnant Ministries was born. Chosen Remnant held their first meeting on October 1, 1999 at the Ron Anderson Community Center, Powder Springs, Georgia. The ministry has since moved to the Hilton/Marietta Conference center, where its quarterly meetings are held. Their passion is to see people walk in their God ordained destiny; bringing hope where there seems none. By much miraculous manifestations in their ministry, they are fully persuaded there is nothing too hard for God to do! We face many challenges in ministry, but God has used them to show His faithfulness in our lives. God is always ready to fulfill His word, and as we walk in obedience to His word, we will be fruitful. The Two key scriptures of the ministry are Joel 2:32 and Isaiah 61:3. Chosen Remnant is about the Remnant whom God has chosen but due to hurt, disappointment or inability to understand the voice of the Lord, they are not walking in their destiny. The ministry has through the prophetic, ministered to a lot of people facing one or two of those challenges. We have seen the hand of God move in their lives to bring restoration. Our desire is to be used of God and with more zeal for Jesus, impact the lives of people we meet or connect with. WE BELIEVE there is no situation so terrible that God cannot change. Our desire is to be used of God and with more zeal for Jesus, impact the lives of people we meet or connect with. 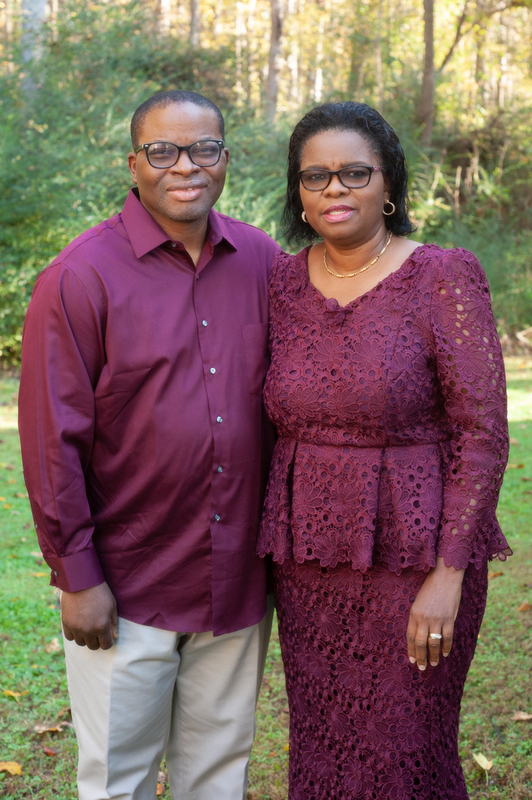 Anthony and Margaret Sowemimo served as Co-Pastors for the 8 am congregation of the Liberty Church in Marietta GA until August 2012. They are available to minister by invitation across the nations of the world.